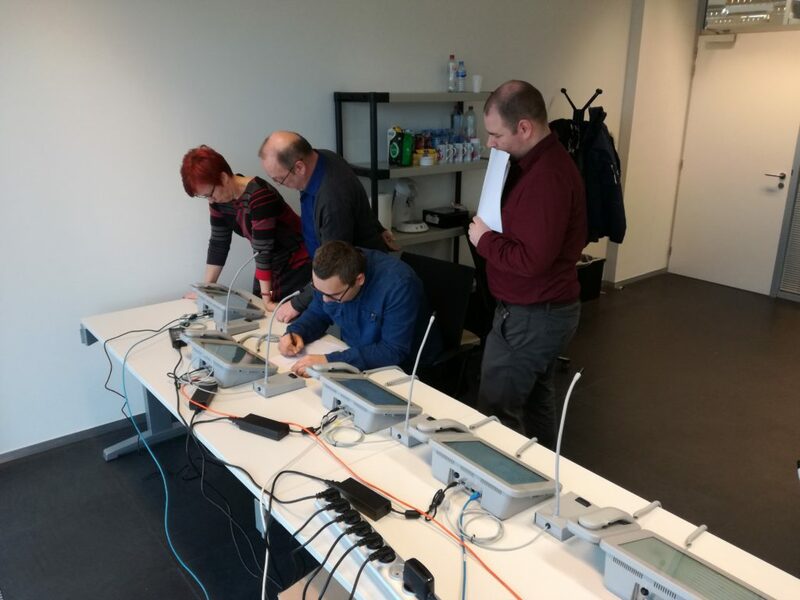 During the week of 22 January, Edelaraudtee Infrastruktuuri AS visited the RideOnTrack offices for conducting a Factory Acceptance Test (FAT) of the dispatcher system they procured. As Edelaraudtee Infrastruktuuri AS had some special requirements, RideOnTrack adapted the DiCa dispatcher software to fully comply with the specifications. We also took the opportunity to give some hands-on training on the tested equipment. A representative of Estonian Rail (second and largest rail infrastructure operator in Estonia) joined the Edelaraudtee Infrastruktuuri AS team with the purpose of evaluating if the RideOnTrack product portfolio could be of interest to Estonian Rail for the purpose of future IP-migration projects. 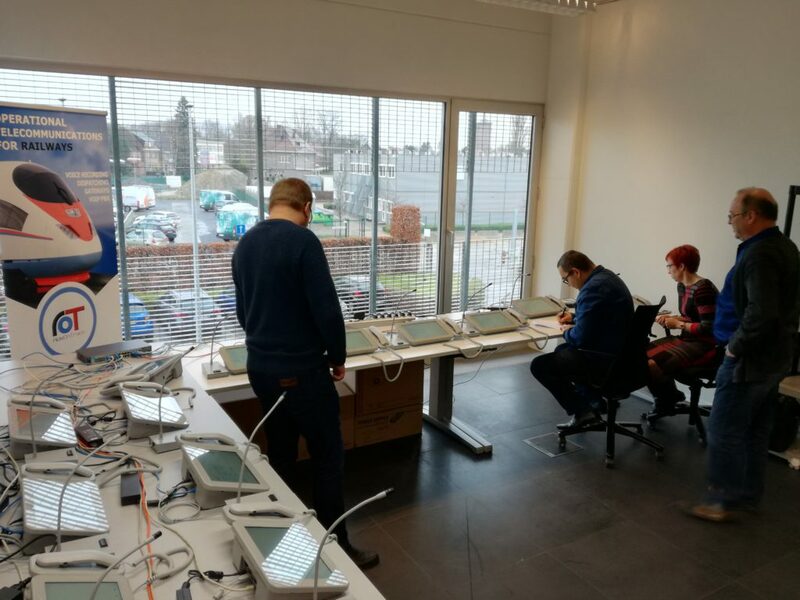 For that reason, RideOnTrack arranged a joint-visit for the customer at the Infrabel dispatcher center in Hasselt, were about 30 RideOnTrack DiCa-dispatcher terminals are in operation. On Wednesday, January 17 the FAT documents were signed without any open points and Edelaraudtee Infrastruktuuri AS was very pleased with the new Dica dispatcher system they sourced. The customer stated that the DiCa-dispatcher terminals are easy to use, nicely designed and that the product was manufactured with ‘railway’ quality. The goods are now on transport to Estonia and will be installed during the second week of February. 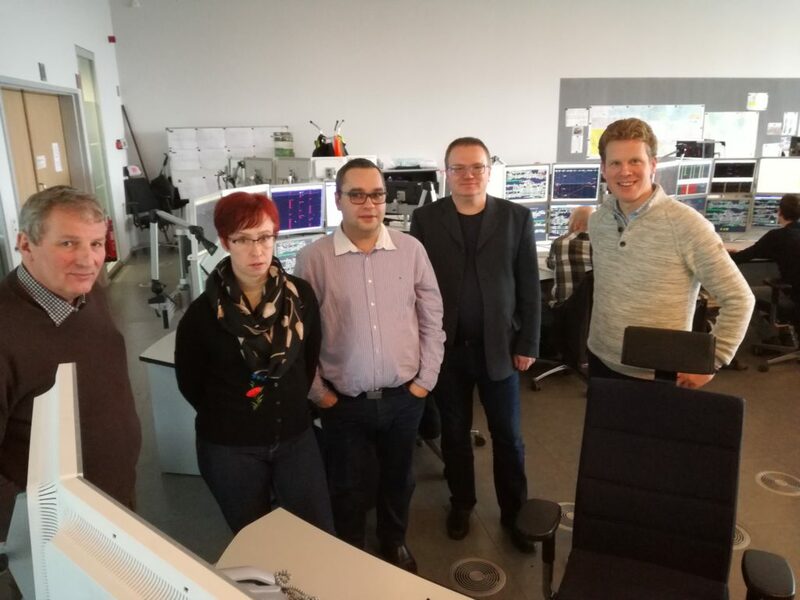 We expect that the Edelaraudtee Infrastruktuuri AS dispatchers can have their first RideOnTrack dispatcher experience, when the system gets in full operation, by the end of February. We keep you informed on the progress made.